LDW-100T Impact Testing Low Temperature Meter is the compressor refrigeration equipment of our company latest research and development in accordance with low temperature device requirements of JB-5376-91 "Low Temperature Thermostat Technical Conditions" and GB/T 8363-07 "Ferritic Steel DWTT Method". This equipment adopts imported compressor cascade refrigeration technology, adopts the principle of heat balance and mixing method of circulation to achieve automatic uniform cooling, constant temperature of sample. 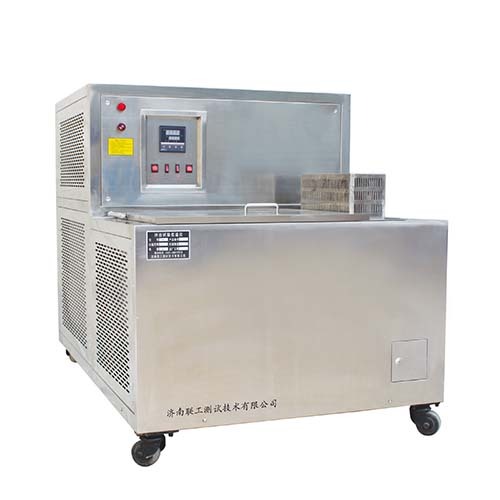 The equipment adopts single chip microcomputer technology control, digital display temperature value, automatic temperature control, automatic timing, automatic alarm, safe and convenient operation, high cooling speed, large volume, high precision temperature control, is the most ideal equipment of specimen cooling and heat preservation in the material low temperature impact testing. At the same time, it can also be used for other low temperature detection and testing.